The unique shape of the Lahela Lamp reflects Mid-Century Modern influences. 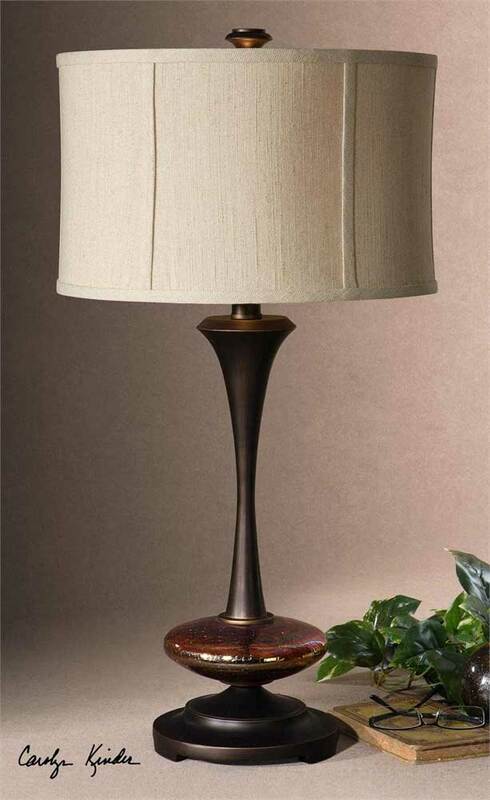 This stylish lamp is finished in a distressed copper bronze with an iridescent crackled glass accent. The round drum shade is a rusty beige linen fabric. 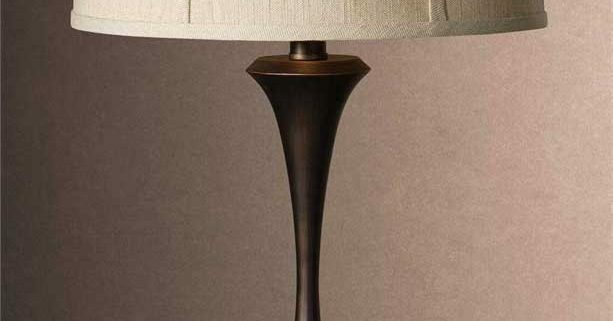 Designed by Carolyn Kinder International, the collection also includes the Lahela Distressed Copper Floor Lamp. Available to trade professionals at Uttermost.com. For retail purchase Google keywords “Carolyn Kinder Lahela Copper Lamp”.